Fremantle have kept their 2006 campaign alive with a 37 point victory over the cellar dwellers in Essendon in front 34,000 supporters on a Friday night at Subi. A less than convincing win would be the best way to describe Fremantles answer to their critics. Blundered opportunities from the Dons marred what was realistically a very even contest. The swimming finals of next year's FINA World Championships in Melbourne will clash with the start of the AFL home-and-away season according to competition schedule released this week. The program confirms morning swimming heats will be held at Rod Laver Arena from 10am (AEST) with semi-finals and finals to be held from 7pm (AEST) from March 25 to April 1. Last season the injury ravaged Collingwood side limped to 15th on the AFL ladder while St Kilda also didn’t live up to expectations of the football public, even with a Preliminary Final appearance. Season 2006 has been much kinder to Collingwood fans, their team flying high in third spot on the AFL ladder after 13 games. The jury was out for St Kilda, with only its long injury list the only defense to its seventh placing prior to yesterday’s clash. It was a crunch game for St Kilda against the upstarts from Collingwood and a chance to demonstrate their preeminence among Victorian clubs. That’s what they duly did. 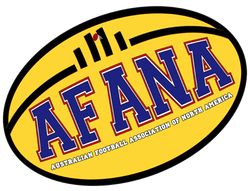 by Frank Ienco reporting exclusively for AFANA at the Sydney Cricket Ground. The Adelaide Crows have turned in a performance from the top shelf to thrash the defending premiers on their own turf, running out 39-point winners over the Sydney Swans in front of 36, 104 fans at the Sydney Cricket Ground on Sunday afternoon (AEST). The real footy is still happening. I’m off to China on Sunday for a couple of weeks, by the way, so if anyone in Soochow (Suzhou) or Beijing wants a drink and talk footy, let me know. History repeats . . . Last year the Camrys massacred the Stainers by 80-odd points at Docklands and this was much the same. Stainer fans will be hoping the repetition continues, as in September 2005 they put Addleaid out of the finals at Foopall Park. There’ll have to be a big turnaround. In selection the Saints lost Jason Blake with a hamstring injury and dropped wet-weather specialist Mark McGough, in came Xavier Clarke and Andrew McQualter. Sinkilda hope to have Aaron Hamill back after the break, Justin Koschitzke started training again last week but collapsed on live TV on Sunday, a worry. Aaron Fiora played his 100th game here, it ended unhappily as he was singled out afterwards by Thomas for displaying cowardice. The Camrys lost Nathan Van Berlo with a fractured collarbone and Brett Burton (hamstring soreness) was a late pull-out. Jason Torney and Bernie Vince were called up from the Snaffle. What mental aberration caused me to select Hawthorn last week against the Saints? Probably the same mental speed hump that made me dismiss the Tigers against the Pies. That was one upset while the other was the Bulldogs’ great win against the Eagles at Subiaco. Should have scored 6 but that bit of stupidity has allowed the tipping leader to sneak away another point further ahead. With only 9 rounds to go the chances of making up more than 5 – 6 points is very difficult although there is still time to make those unexpected selections based on unexpected results. For all those tipsters who followed the assumed wisdom of the previewer last round I apologise. I have gained some comfort from the fact that at least those who followed my tips last round also joined me with only 2 correct, an all time low record for me. There were some very ordinary form reversals amongst some poor performances by more fancied teams and they all worked towards creating some very interesting tipping scores. Never mind, another 10 rounds to go. If you’re more than 10 points in arrears check your comp rules to see what you have to do to win a booby prize if one is available.